After three and a half years without having a solo exhibition in Madrid, La Galería Javier López shows a selection from Elena del Rivero’s "Letters". The main body of the artist’s work is an ongoing series of written letters, "Letters to the Mother", begun in 1991. Part of this letters (270), belong to the Museo Nacional Centro de Arte Reina Sofía, and part (300) to The Contemporary Art Collection from Fundación La Caixa de Barcelona. 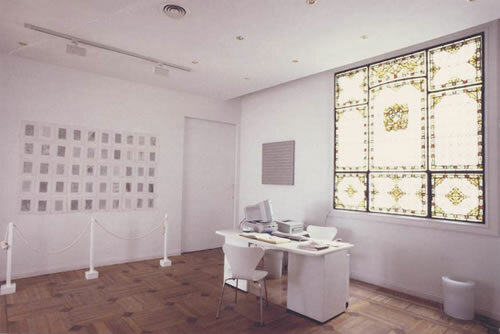 La Galería Javier López presents some letters dated in 1996. For once, this letters are not written to the Mother, some of them, the artist addresses to herself as if they were written by other persons, even there are letters that have been written by other persons although manipulated by the artist. The formats have also changed, work on paper 100 x 70 cm. and big format, 150 x 114 cm. They become more poetical, and use a great variety of materials, for example some texts are embroidered on natural silk. 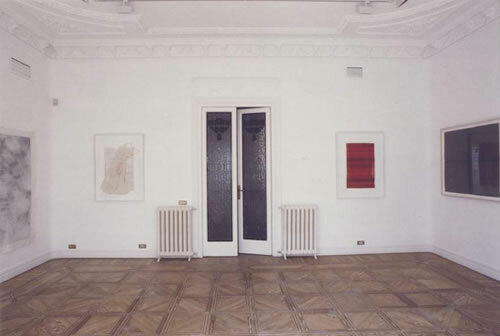 The gallery also presents the piece "Sewing Minimalism (Three Tablecloths)", 1994-1995. It is composed of three big papers, in which black graphite lines get overlapped and entangled. At first sight it seems like a reference to Minimalism, but if we look closer, we can discover a grid of rectangles and squares obsessively sewn together with thread or zipper. The artist subverts Minimalism and the idea of a singular object and creates a hybrid form with personal connotations and extreme sensuality. Elena del Rivero remarks that her starting point is history, but her work is based on personal experience, the only one she knows, she says. The "Letters" have a secretive quality, like that of a personal diary, and some will wonder if the letters are autobiographical. However, the basis of all the ideas is universal: unanswered questions, the impotence provoked by doubt as we search our memory, a dialogue which becomes monologue. Elena del Rivero lives in New York since 1991 and her next project, entitled "Letter from the Bride", will be shown at Sandra Gering Gallery.